Apple has silently dropped a surprise on announcing their release of Red I Phone 7, Worldwide on 24 March, Friday in recognition of more than 10 years of partnership between Apple and (RED), an HIV charity. A percentage of profits will go towards Global Funds to fight the disease. What is the meaning behind Apple and (RED)? For 10 years, Apple's partnership with (RED) has supported HIV/AIDS programmes that provide counselling, testing and medicine that prevents the transmission of HIV from a mother to her unborn child. So far, Apple has raised over US$130 million through the sale of their (RED) products. 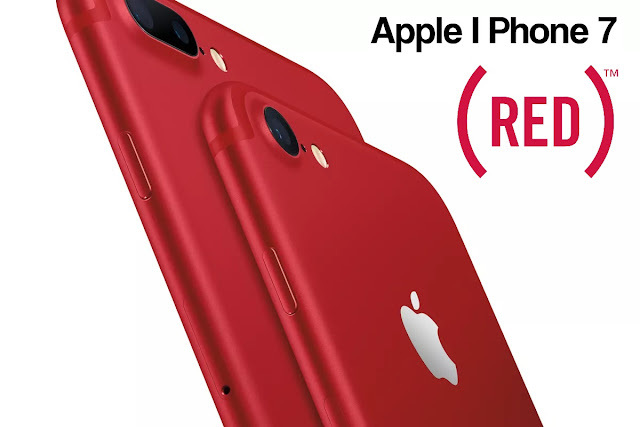 Now Apple is introducing iPhone 7 (PRODUCT)RED™ Special Edition. Every purchase brings us a step closer to an AIDS‑free generation.